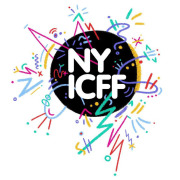 NYICFF was founded in 1997 to promote intelligent, passionate, provocative cinematic works for ages 3-18 and to help define a more compelling film for kids. Since its launch, the event has grown to become the largest festival for children and teens in North America, with an audience of over 25,000 attending the most recent event. Since 2000, all screenings have sold out in advance. Each year the festival presents 100 animated, live action and experimental shorts and features from around the world plus gala premieres, retrospectives, filmmaker Q&As, workshops, audience voting, and the NYICFF Awards Ceremony. But the festival has become much more than just an annual event; NYICFF now offers year-round film programming, a touring festival, an online festival, and film production workshops for children ages 6-16. NYICFF is an Academy -qualifying festival. Recipients of the NYICFF jury prizes are eligible for consideration in the Live Action Short and Animated Short Film categories of the Annual Academy Awards. The New York International Children’s Film Festival is dedicated to inspiring, entertaining and educating through innovative film programs, the Festival stands at the forefront of a movement to expand the boundaries of children’s entertainment. An Oscar-qualifying festival, NYICFF is North America’s largest film festival for young people, presenting over 100 new films, retrospectives, filmmaker Q&As, workshops and special events to a soldout audience of over 30,000. Festival jury members include Gus Van Sant, Jeffrey Wright, James Schamus, Christine Vachon, Susan Sarandon, Bill Plympton, Henry Selick, Uma Thurman, and Geena Davis, among other renowned members of the film and media industry. Would you recommend New York International Children’s Film Festival?